"I put my arms around her and kissed her and started to pet her." 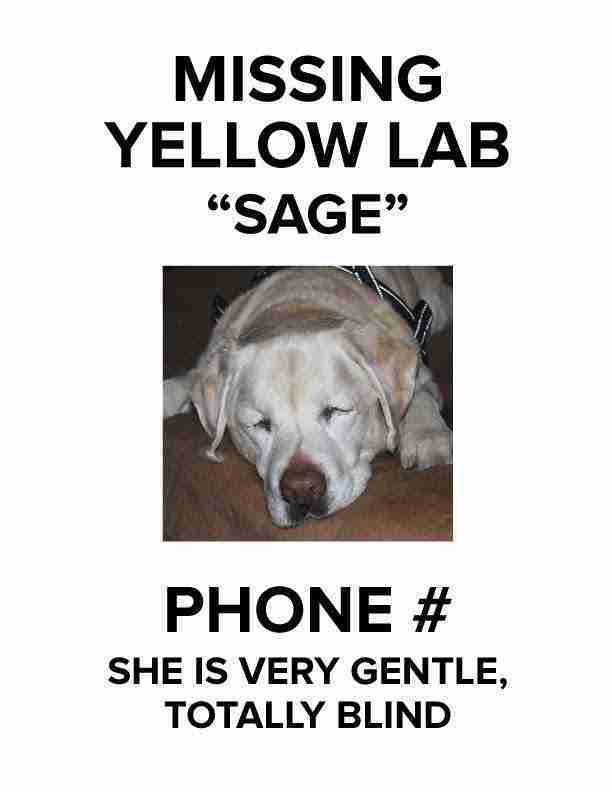 When Sage, a 12-year-old blind Labrador, went missing from her home last week, her family was distraught. They thought they'd brought her into the house with them after they'd spent some time out in the yard, but realized about an hour later that they'd accidentally left her outside. 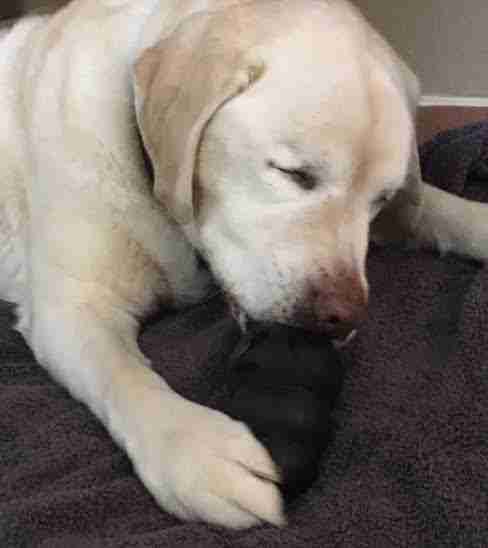 The family immediately started searching around their home in Boulder Creek, California - they hoped that she was just sniffing around the area. But they couldn't find her. "Ten of our neighbors joined our family in the search that lasted until late that night," Beth Cole, Sage's mother, told The Dodo. "Then they came back to help for several days after that." After five days, the family started to lose hope. Five days turned into six. Then seven. Then eight. "We have predators in the area, so we thought there was a chance she'd died," Cole said. Even so, Cole and her family continued to search - they put up flyers around the neighborhood, posted on social media and talked to all their neighbors. Dan Estrada, the Cole family's next door neighbor, was the person to eventually find Sage, although it was completely by accident. 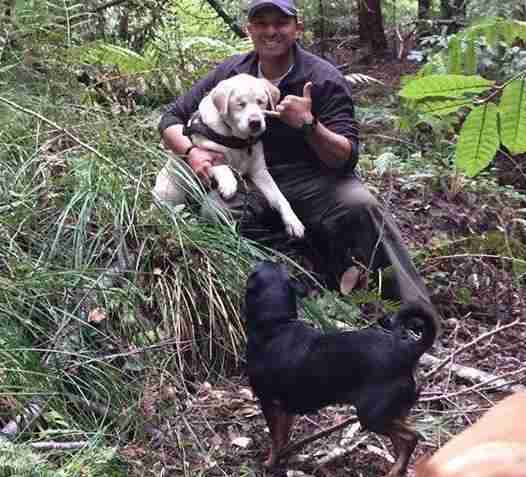 Estrada and his friend Vincent, along with Estrada's two dogs, Barnabas and Köelsch, had gone for a leisurely hike through the forest around Estrada's house. 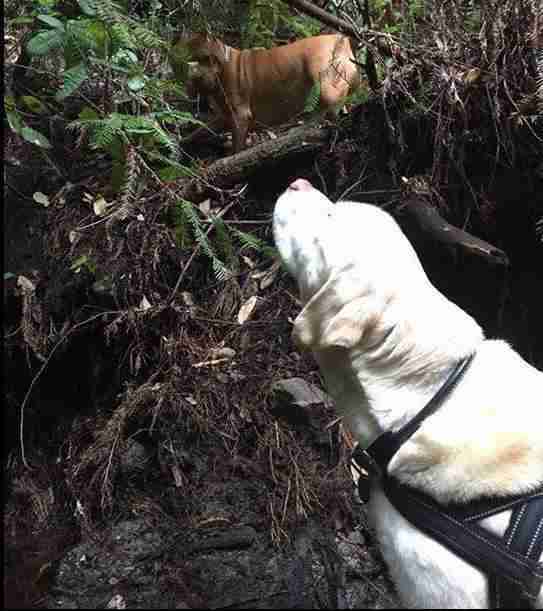 Fifteen minutes into the hike, Estrada spotted something next to a stream at the base of a steep slope. "At first I thought it was a trash bag, so I was actually frustrated," Estrada told The Dodo. "Nobody wants people dumping trash in the forest. Then I looked closer, and I saw that it was Sage." 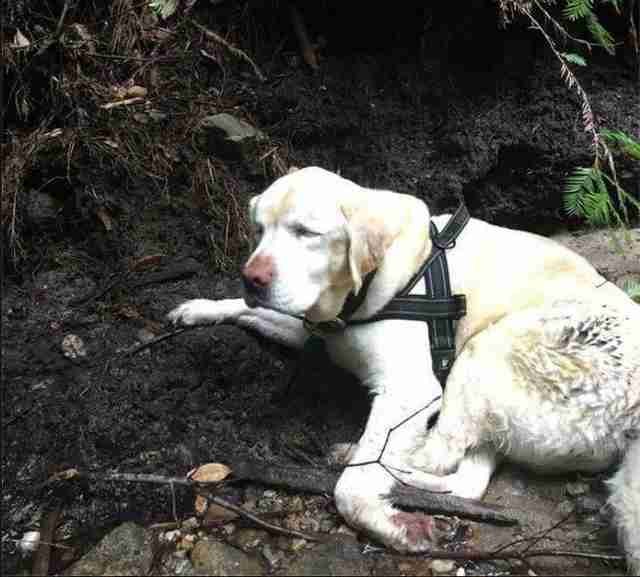 Estrada's heart sank - Sage was tucked inside a small cove right next to the stream, and she wasn't moving. He was sure she was dead. "I just said to myself, 'Oh no,' because now we'd have to do body recovery," Estrada said. "On top of that, I'd have to tell her family, and be the bearer of bad news." As Estrada carefully descended the slope, his friend called out to him. "Vincent noticed that Sage picked up her head," Estrada said. "He yelled, 'Dude, she's alive.'" These three words changed everything for Estrada - and for Sage, too. 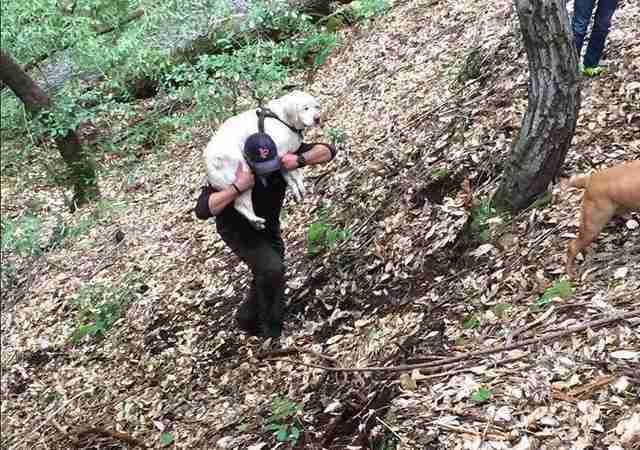 "I climbed a lot quicker, jumped into the stream and hustled over to her," Estrada said. "I put my arms around her and kissed her and started to pet her. 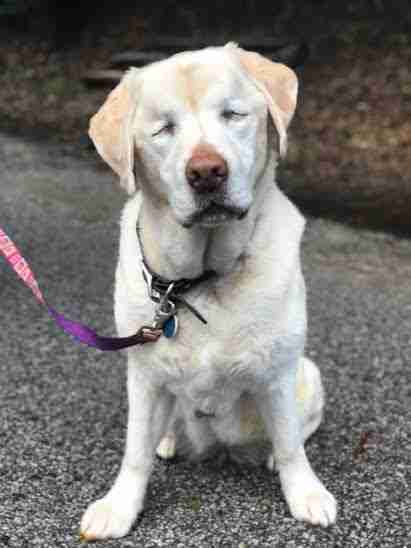 And she was able to hold her head up and wag her tail." Then Sage noticed Barnabas and Köelsch, whom the dog knows quite well. "She walks with those guys," Estrada said. "She picked up her head, and she's looking around for them and she's happy." "I think she was more happy to see Barnabas and Köelsch then she was to see me," Estrada added. Estrada helped Sage stand up and tried to get her to walk. But since she hadn't eaten in eight days, Sage was weak and exhausted. "She walked maybe ten steps, but she was moving a little bit slow," Estrada said. "Then she ran into a log. I realized that there was no way she was going to be to walk on her own. So I put the dog on my shoulders, and we made our way back up." 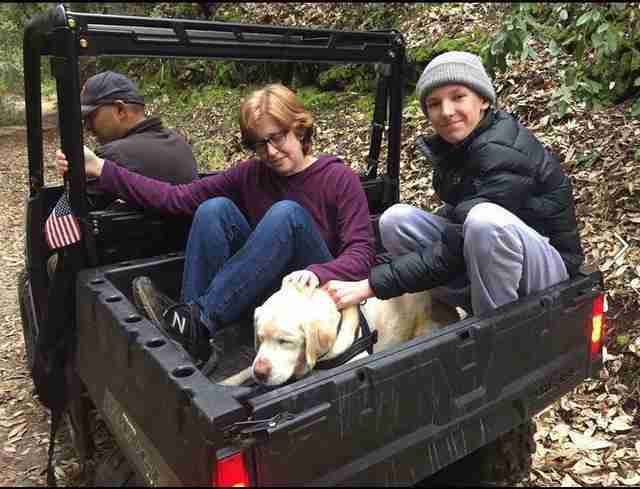 As they made their way back home, Estrada's friend contacted Sage's family to let them know they were coming. When Cole and her family were reunited with Sage, they were overwhelmed with emotion. "They were crying, they were happy," Estrada said. "We were about halfway up the mountain, and I could see that they were all teary-eyed." 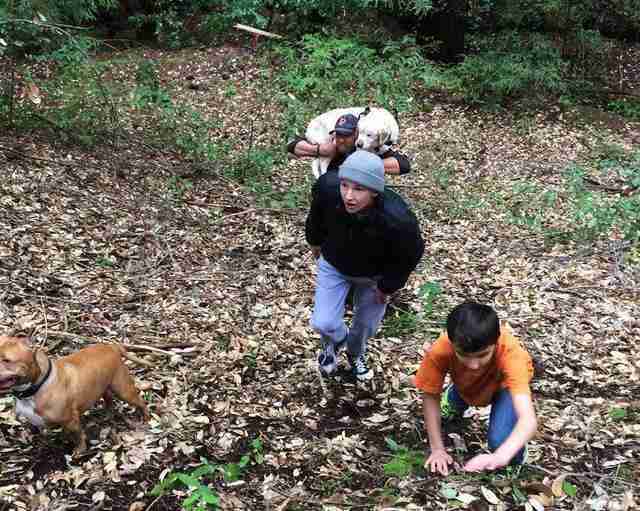 The Cole family had been offering a $1,000 reward to anyone who found Sage, but Estrada refused to take it. Instead, he asked for the money to be donated to an animal rescue organization. 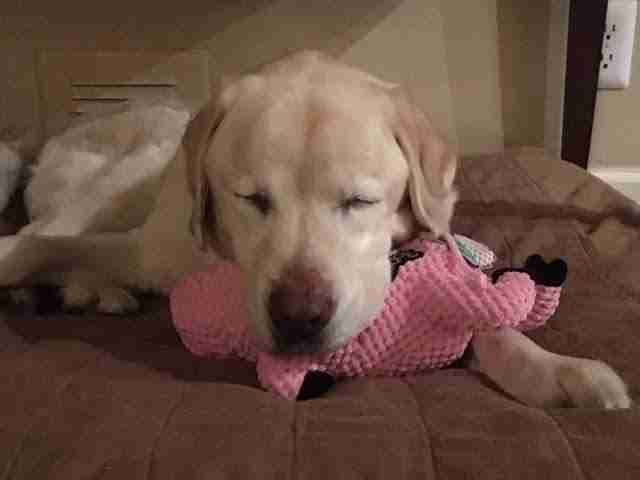 "Our family is so grateful to have Sage home!" Cole said. "Our small town has really pulled together around this happy ending made possible by our neighbor Dan."